Does anyone know the signature of the files covering the Operation CRUSADER period in North Africa (Oct 41 to Feb 42 incl.)? AIR23/910, 946, 1181, 6479: HW50/42: PREM3/291/2: and many in the WO series. The operation is also part of the content of other files. Is there anything in particular you are looking for? Primarily operational detail. I have started on the HW5 series, and have worked extensively with the WO series, HW1, and some AIR and ADM, as well as German records from Duxford. I was particularly interested in the Y-service intercepts for the period and where they could be found. Based on other files viewed, I think HW50/42 is likely to have sources, possibly even transcripts, but I have not seen it myself. AIR41/25 has a lot of information concerning the plans for Crusader derived from Y, and can be taken as a summary of the AI picture based on Y. If you have not seen it already, I strongly suggest 'Spies of the Airwaves' by Hugh Skillen. He gives considerable detail about the Allied side of the North African ops. Let me know if you need access to the book. Many thanks to both of you. The tip on the Wing is good, I'll look into this. Air 41/25 looks very very promising. I wonder if that could be part of Tedder's 'missing' despatch? IIRC the presecessor of No. 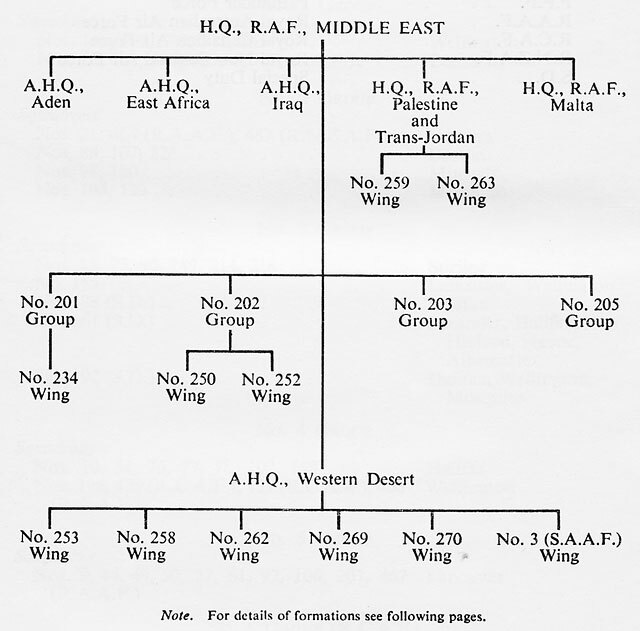 276 Wing in the Med (i.e. before Autumn 1943) was No. 329 Wing but I don't know if they were there as early as the Crusader period. Hi Andreas/Nick: I have so far had no luck finding any 'mother lode' files of signals from North Africa. There are several files that give great descriptions of the Units and their organisation, but (I think) the daily output was handed straight to the AI officer who incorporated the findings into his reports. I will bet someone reading this says something like '... but don't they know about ...' and Hey! Presto! the key document is identified. How about, as a suggestion, the people who have spent time looking for this information compare notes? It is always irritating to find that one has followed the wasted journey of another, and likewise rewarding to find that something already viewed is useful to someone else: I will gladly donate some on-line storage space to housing any files others want to share. Maybe nothing will come of it, but what do others think? As for 329 Wing, a quick trawl of the Catalogue at the National Archives shows no mention before 1943. No. 250 and this wing is not given with any aircraft type. But... I can't find any records in the National Archives.